Accuride Drawer Slides in the Wild! 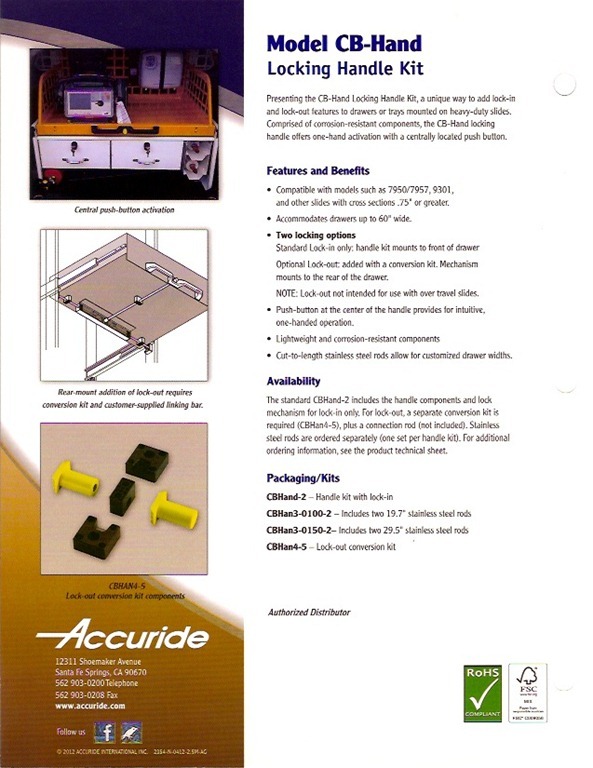 Accuride Electromechanical Slides Are Now Available! • Integrated electronic lock mechanism withstands up to 150-lbs. of force. • Lock includes manual override. – Kick-Out – Propels drawers open about 2″ when unlocked. • The control circuit permits integration into third-party access control systems. • Lock functions with any power source supplying the required DC voltage and current. See technical sheet for details. • Lock /exterior finish: zinc and black plastic. THIS JUST IN! 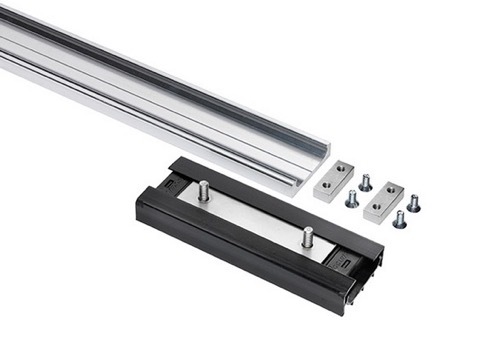 Accuride announces the new 38EL Series slide, with an INTEGRATED electronic lock! COOL! Want to know more? We’d be happy to send you all of the information, but if you need information RIGHT NOW, you can download the detailed drawings from Traceparts.com! Click the link below: CAD files ACCURIDE : Model 38EL – Full Extension Slide with Integrated Electronic Lock. 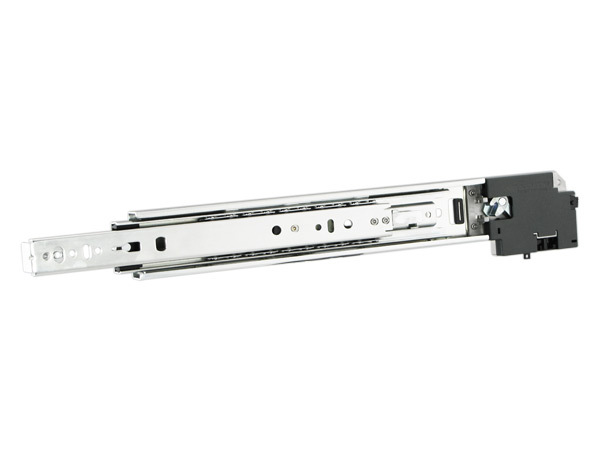 We’re proud to carry a wide range of electronic latching solutions to meet your specific needs. If this isn’t exactly what you’re looking for, call us directly at 1-800-318-1119 and we can discuss your requirements. We’ll find something that will work for you. Accuride introduces four new stainless steel slides that provide a full range of slide choices for installations where exposure to moisture or high humidity is a key environmental factor. 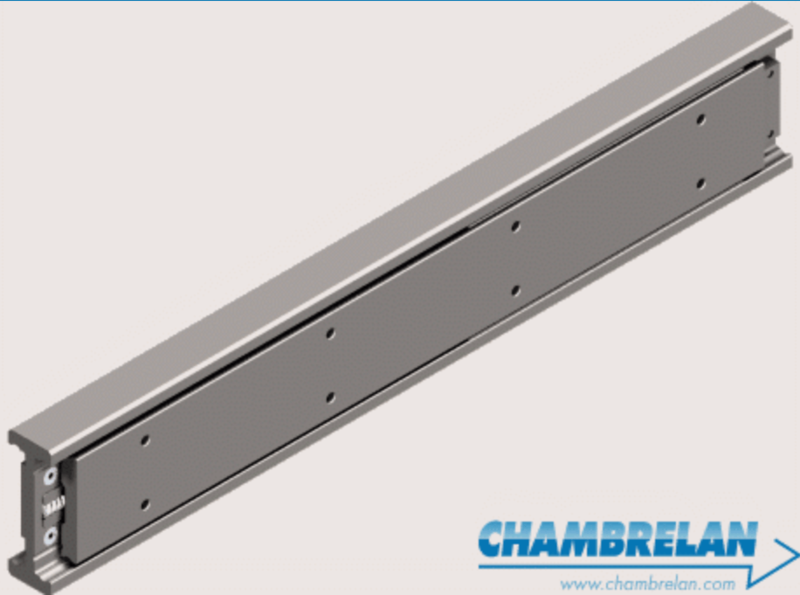 The corrosion resistance of these products offers a slide solution for drawers or pull-out shelves in food service applications, outdoor kitchens, wash-down areas, industrial storage of parts, equipment, tools, chemicals, paint, etc. vehicular storage, and other applications subject to dampness. Tested to 80,000 cycles, these products offer load ratings from 100 to 350 pounds, with extensions ranging from 3/4 to over travel. 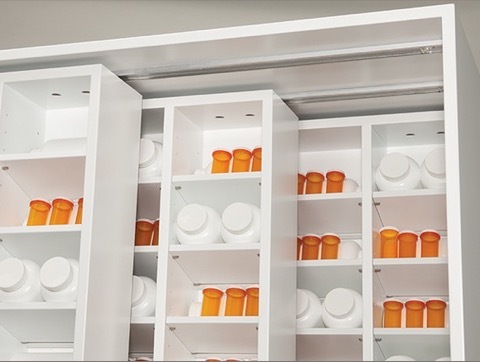 All include a hold-in detent feature to prevent drawers from rolling back out after closure. Several lengths are available for each model and all products are RoHS compliant. Accuride International manufactures precision ball bearing slides for a variety of applications and has six locations worldwide; each governed by a quality management system registered to ISO 9001:2000. Accuride announces the addition of two super heavy-duty slides designed to carry loads up to 966 pounds per pair. 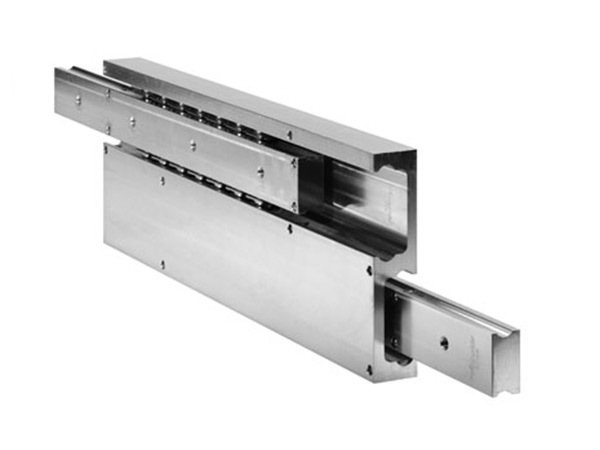 Models AL4120 and AL4140 are lightweight aluminum, with stainless steel ball bearings and ball retainers, which provide corrosion resistance for exterior applications exposed to moisture and high humidity. These products are suitable to a number of applications in industries such as transportation, utility and emergency vehicles, manufacturing, food service, and more. Model AL4120 offers ¾ extension and a load rating up to 966 pounds. AL4140 is full extension and carries up to 882 pounds. Both products offer smooth movement and a hole pattern that gives the flexibility to accommodate a variety of installation options. 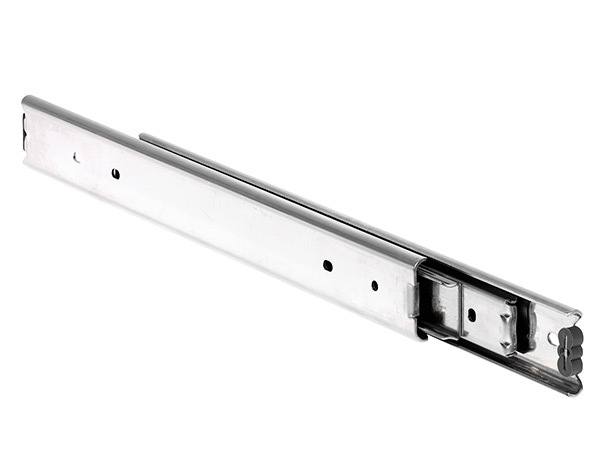 Tested to 10,000 cycles, these slides are non-disconnect for added strength, and available in lengths from 16″ up to 48″. Accuride International manufactures precision ball bearing slides for a variety of applications and has six locations worldwide; each governed by a quality management system registered to ISO 9001:2000. 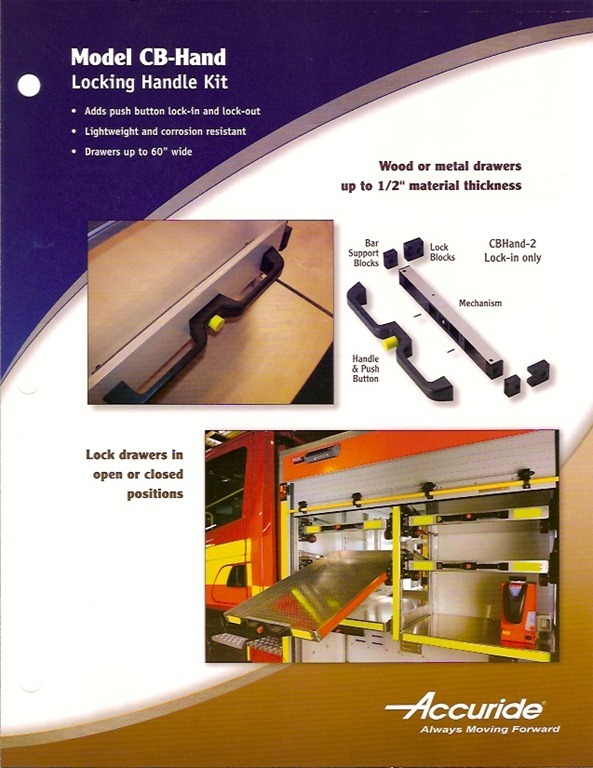 The CB-Handle Locking Handle Kit from Accuride is a new way to add lock-in and lock-out features to drawers or trays. This handy mechanism allows one-hand activation with a centrally located push-button, and is ideal for mobile applications! Call us today, or use our Contact Form to learn more about the CB-Hand Locking Handle Kit!